A physician, mother and grandmother, Dr. Pierson has also become an accomplished artist with her work displayed in galleries, businesses, and juried shows throughout Connecticut. She is past-president of the Lyme Art Association. 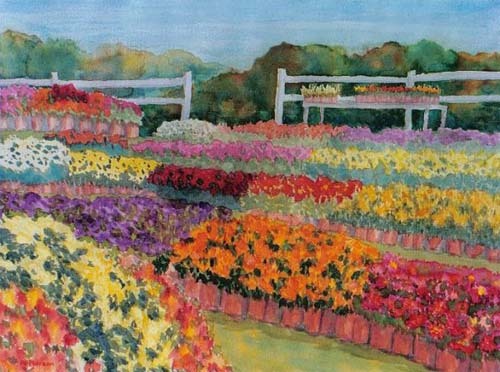 An elected artist in several shoreline Art Associations, in 2003 Dr. Pierson was elected a member of the Connecticut Watercolor Society. She paints primarily in watercolor, although some works are in acrylic, tempera, pastel and/or collage. She prefers watercolor because of its spontaneity and flow of color and both the subtlety of shading and transparent clarity which can be achieved.